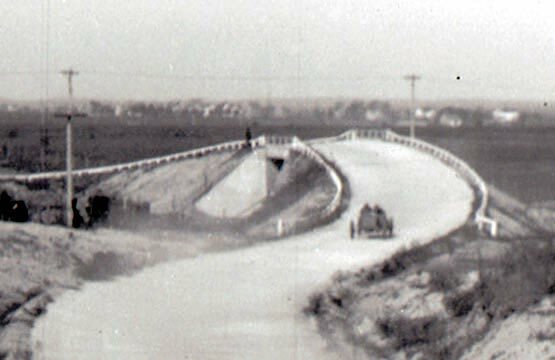 One of the original 16 Motor Parkway bridges built for 1908 Vanderbilt Cup Race, this curved bridge played a role in ending the Vanderbilt Cup Races on Long Island. This Belcher-Hyde map shows the route of the Long Island Motor Parkway around Mrs. Emily Ladenburg's property in the area then known as Meadowbrook and Salisbury Plains. 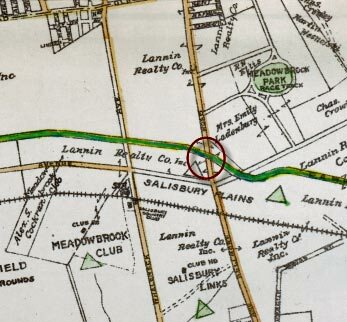 The Meadowbrook Racetrack was located north of the Ladenburg property. South of the Motor Parkway, Bellmore Road was called Newbridge Avenue and later changed to East Meadow Avenue to avoid confusion with Newbridge Road. I was raised in East Meadow and I still confuse these two roads oday! This is a view of the bridge looking southeast soon after it opened in 1908. The distinctive windmill of the Ladenburg property can be seen in the background. It was a virtual oasis of trees in the barren Hempstead Plains. 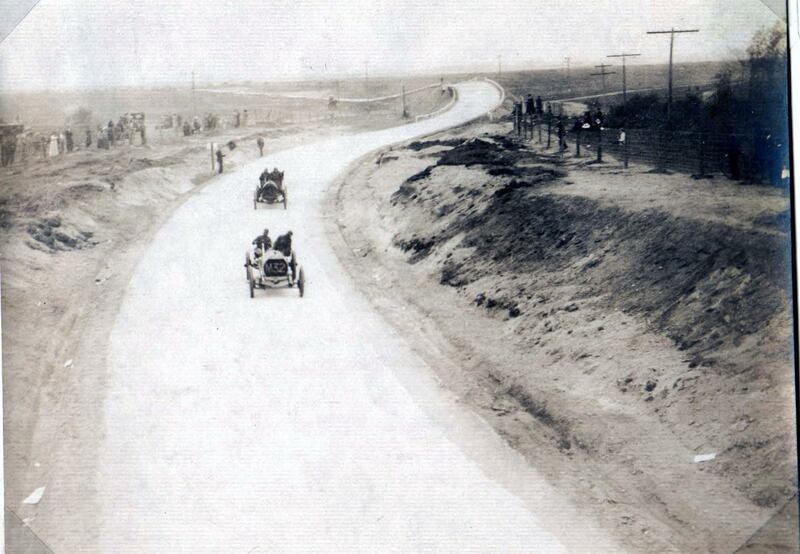 Two racers can be seen in action on the opening day of the Motor Parkway. The "S" curve of this section of the course was challenging and dangerous. 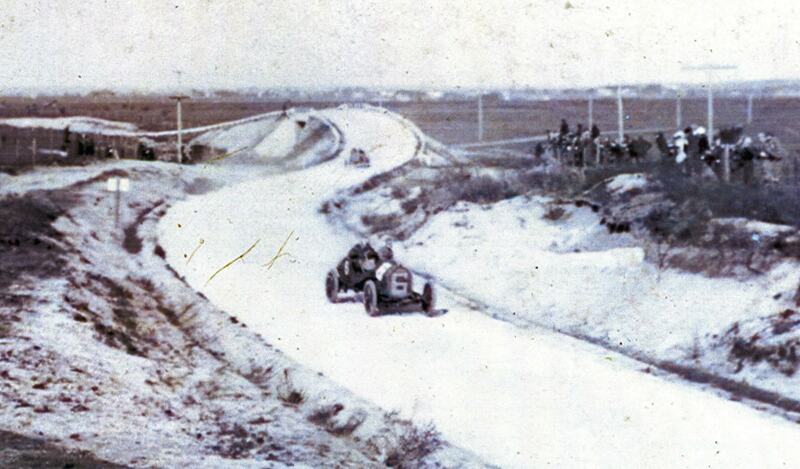 A great view of Herb Lytle driving his Isotta on the bridge. Friends of the Ladenburg family watching Hugh Harding driving his Apperson. 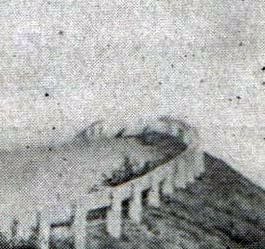 The bridge was the scene of a tragic accident during the 1910 Vanderbilt Cup Race. 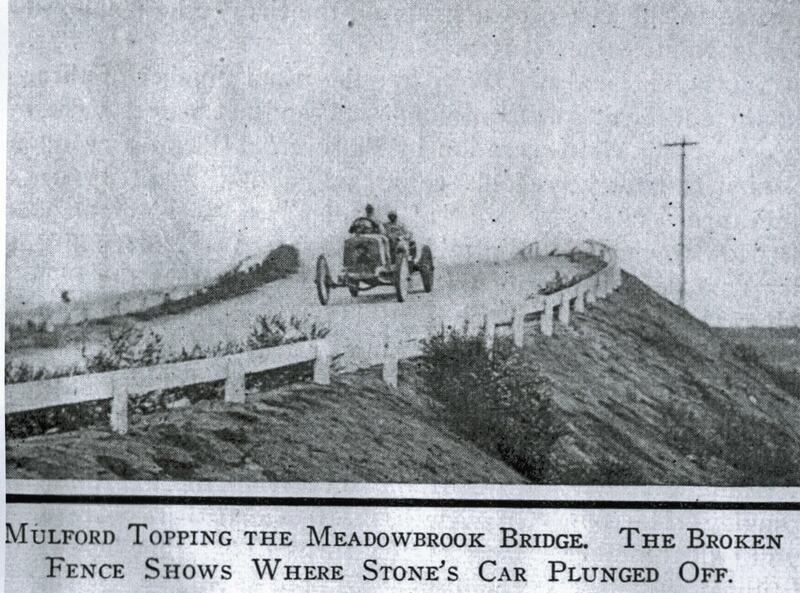 Driver Harold Stone lost control of his Columbia racer trying to make the curve on the bridge at speed. The car ran off the bridge killing the mechanician Matthew Bacon. 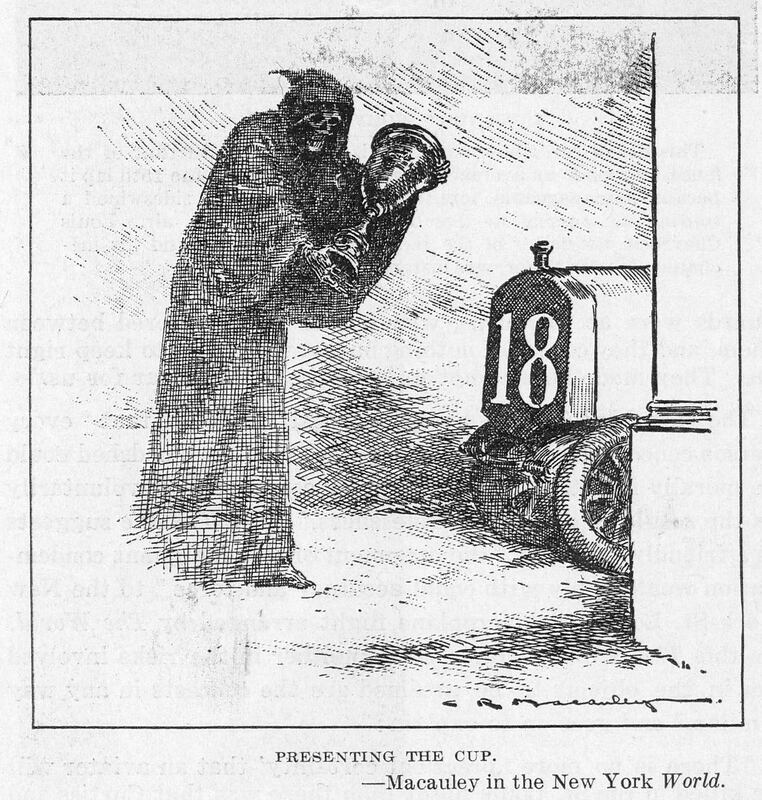 Although some newspapers announced his death, Stone survived and was able to recover from his injuries. The fence barrier broken by Stone was located at the top of the bridge. 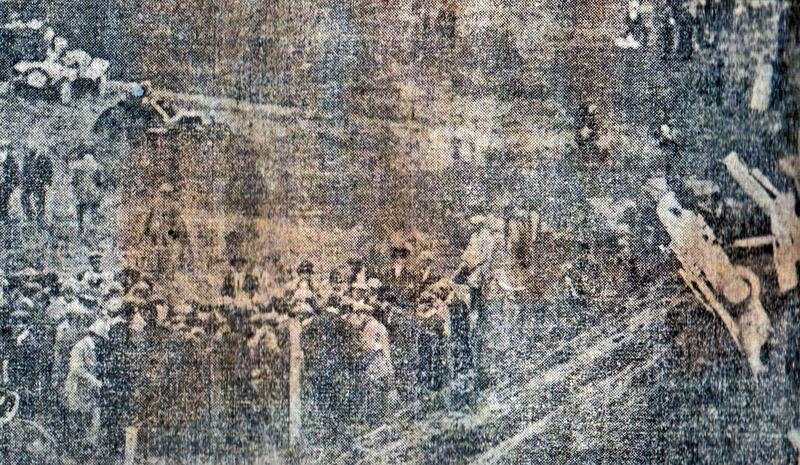 This newspaper image captured the crowd scene around the accident at the foot of the Meadowbrook Bridge. 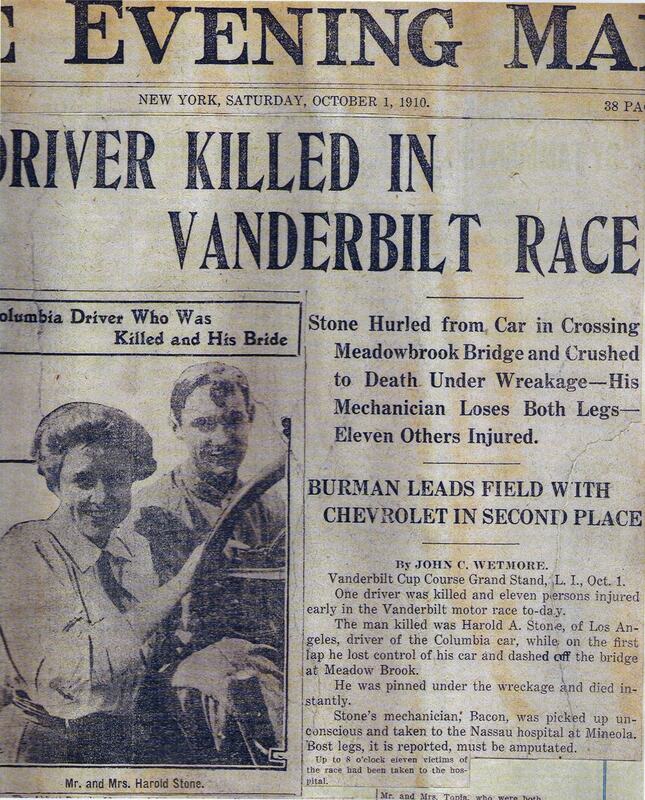 This accident and another fatal accident by Louis Chevrolet's car during the 1910 race resulted in the end of the Vanderbilt Cup Races on Long Island. 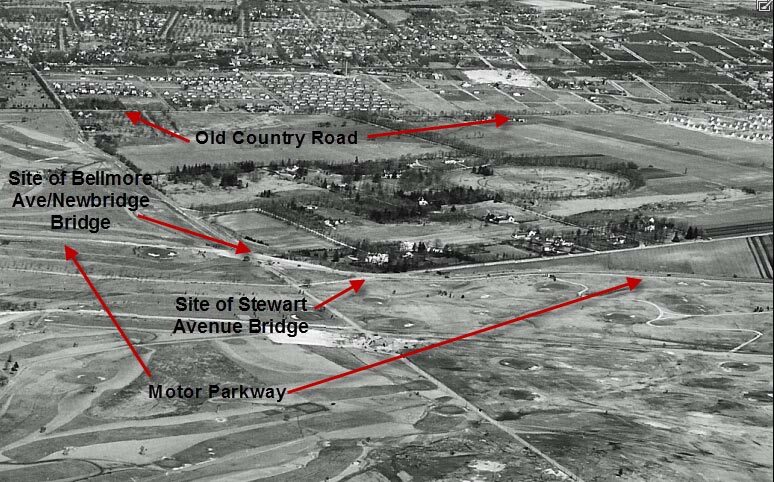 The relationship of the first three Motor Parkway bridges in East Meadow. 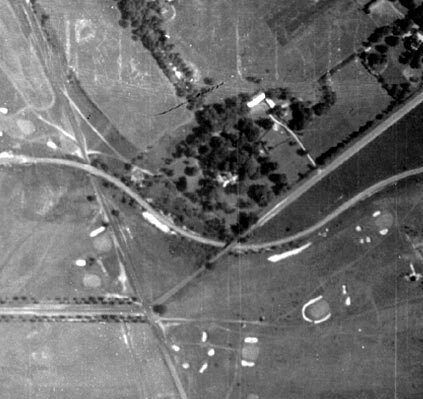 A view of the bridge can be seen in the middle of this aerial. The challenge of this section of the Motor Parkway is dramatically shown in this aerial taken soon after the road was closed. 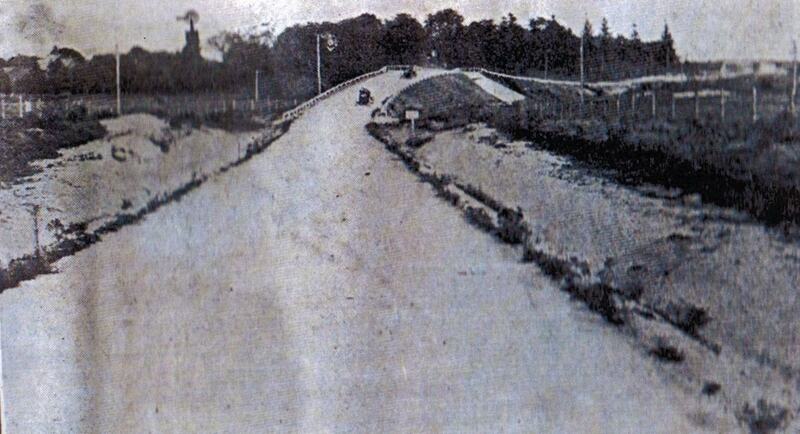 By 1949, the East Meadow Motor Parkway bridges had already been taken down. Remnants of Newbridge Avenue were still visible. The location of the Meadowbrook Bridge as seen today looking south on Salisbury Park Drive.The cross-road is "Ladenburg Drive" in honor of the former property owners. 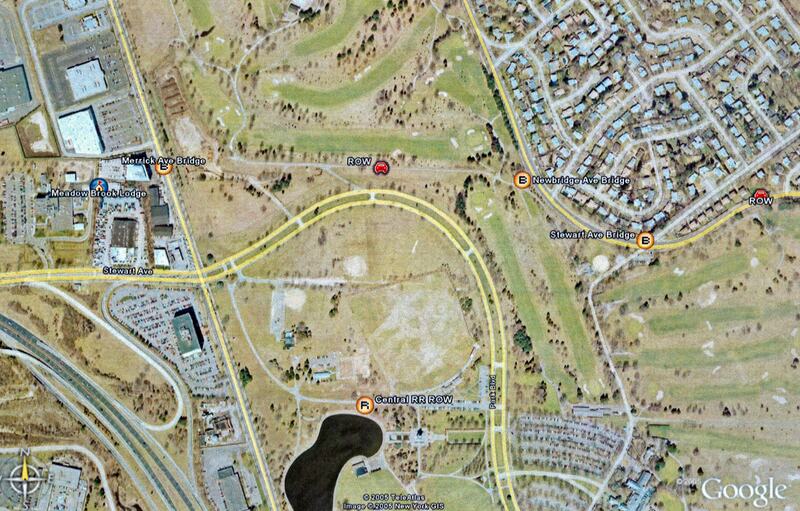 Check out Wayne Consolla's online Motor Parkway map, to find the location of the Meadowbrook bridge. Great article! I appreciate the time you put into this. I work in a somewhat historic building off Stewart Ave and I was doing a little research into the history of the area. Thanks again! Keep it up!